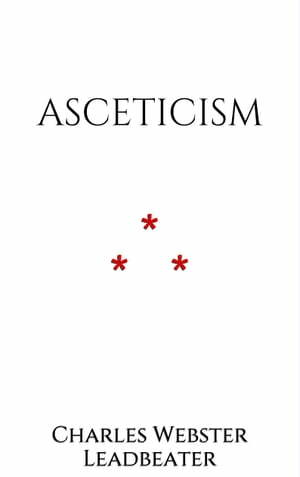 Collins Booksellers - Asceticism by Charles Webster Leadbeater, 1230000375351. Buy this book online. Charles Webster Leadbeater was an influential member of the Theosophical Society, author on occult subjects and co-initiator with J. I. Wedgwood of the Liberal Catholic Church. Originally a priest of the Church of England, his interest inspiritualism caused him to end his affiliation with Anglicanism in favour of the Theosophical Society, where he became an associate of Annie Besant. He became a high-ranking officer of the society, but resigned in 1906 amid a scandal. Accusations of his detractors were never proven and, with Besant's assistance, he was readmitted a few years later.